probably their best album albeit it is a little raucous. 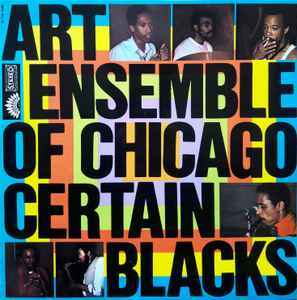 This is a collaboration with Chicago avant garde bluesmen (who appear on Archie Shepp's _Black Gypsy_). Along with the string quartet added _Go Home_ this is perhaps one of the most adventurous recordings of the ensemble. Side 1 is powerful, amusing, and freaky AEOC music, but with added color of the additional musicians. Side 2 is somewhat weaker and more awkward than the other side. The first track, _One For Jarman_, is the standard AEOC that walks on a fine line between tonal and atonal sounds. The second track, _Bye, Bye Baby_, is kind of dull, and to my ear, the weak of the entire album. Overall, the superior performance of Side 1 makes this record worthwhile.